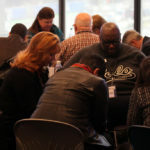 NASHVILLE, Tenn. –LifeWay Christian Resources trustees gathered for their first meeting of 2019 with their sights set on a season of transition and hopeful prayer for the future. 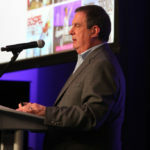 Even on the heels of recent news that LifeWay will close a number of stores and shift toward a more dynamic digital strategy driven by online commerce, President and CEO Thom S. Rainer, who announced his pending retirement at the August 2018 trustee meeting, has confidence in the weeks, months and years ahead. 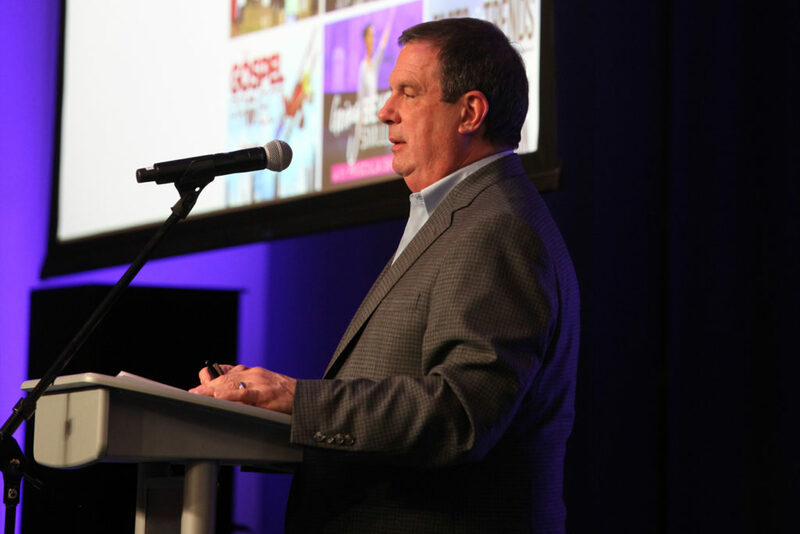 “The greatest days for LifeWay are yet ahead,” said Rainer in what was his final presidential address to the trustees during their Feb. 4-5 meeting. In his address, Rainer recalled “some of the most powerful memories” from his 13-year tenure as president. He thanked trustees and employees for the honor of serving alongside them. Rainer reminded trustees that as the entity makes changes in retail that brick-and-mortar is only one channel. “LifeWay has so many channels through which our resources can be made available to churches and individuals,” Rainer said. “LifeWay will still have all of its resources and so much to offer the evangelical world, churches and individual Christians. Trustees heard updates on the future of LifeWay’s retail channels and the presidential search, as well as a financial report on the entity during executive session. The presidential search committee met during the two-day trustee meeting as they continue their search for LifeWay’s 10th president. Chairman of the search committee Kent Dacus reported on their progress to the full board during executive session. “Throughout the process, the members of this committee have been in one accord about the type of leader LifeWay needs and have consulted the Lord’s counsel for who He wants in this position,” said search committee chairman Kent Dacus. LifeWay continues to focus on providing biblical solutions for life, leaders said. Trustees heard updates from LifeWay’s Earl Roberson and Michael Kelley regarding progress and plans for ministry. Ongoing curriculum—Bible study tools designed for Sunday morning group experiences—is still going strong, said Earl Roberson, acting senior vice president and chief business officer, giving an update on the global reach of LifeWay curriculum. He said LifeWay’s three primary curriculum brands—Explore the Bible, The Gospel Project and Bible Studies for Life—have shown steady growth for six consecutive years, particularly around the globe. One of those instruments, Bible Studies for Life, will be a key focus in 2019 for serving churches, “not just for education, but for transformation,” said Michael Kelley, LifeWay’s director of groups. During the meeting, trustees heard that LifeWay received a clean audit report. Trustees also nominated three people to fill vacancies on the board. These three individuals will serve until the SBC elects directors to fill the unexpired terms. They include Scott Hanberry, pastor of Hardy Street Baptist Church in Hattiesburg, Miss. ; Sabrina Patterson, a member of Eastgate Baptist Church in Burton, Mich.; and Judith “Judy” Sonich, a member of Bellewood Baptist Church in North Syracuse, N.Y.
“There is a LifeWay on the other side of this [current] disruption that is strong, vibrant, ministry-minded and that is going to make the biggest difference, I believe, of LifeWay’s entire history since 1891,” Rainer said. Before adjourning the last plenary session trustee chairman Jimmy Scroggins led a time of corporate prayer for LifeWay’s future president, LifeWay employees and the churches LifeWay serves.